Diary My friend! Hello again, this is my friend he is sniffing me to see if I have any food but I don't! They used a really nice ancient building in Petra as a stable! 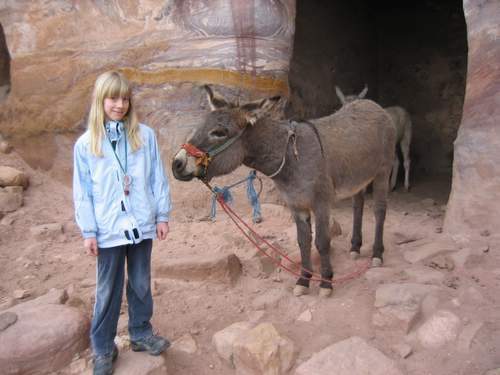 There were a few donkeys inside the building carved from the rock behind me!